of the incorrect operation before performing the surgery. There are cases where you have undergone eye surgery for beautiful eyes, but sometimes revision surgery is needed because of aesthetic or functional failure. Surgical failure can be caused by various reasons such as side effects, that the result is not what you wanted, or if the surgical knot is loose. Revision blepharoplasty requires more concern and effort than the first operation. Finding out the cause is the most important part in revision surgery. Each individual needs precise and detailed analysis and delicate surgery that is perfect for that individual's face because the muscles in the eye, the thickness of the skin, the position of the pupil, and the angle of the corner of the eyes are different. Proceed with surgery. Braun performs considerate operations by understanding the problems and the appropriate surgical procedure accurately. 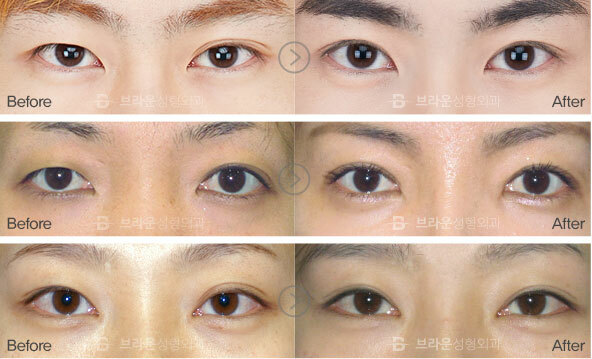 The blepharoplasty has big individual differences. It is very important to properly schedule the timing of the revision surgery. Revision surgery is best when more than 6 months to 1 year have passed since the first surgery when adhesion has disappeared and the tissue of the eye has stabilized. case1. The double eyelid line is too thick. The main reason is because fat was not removed during surgery. 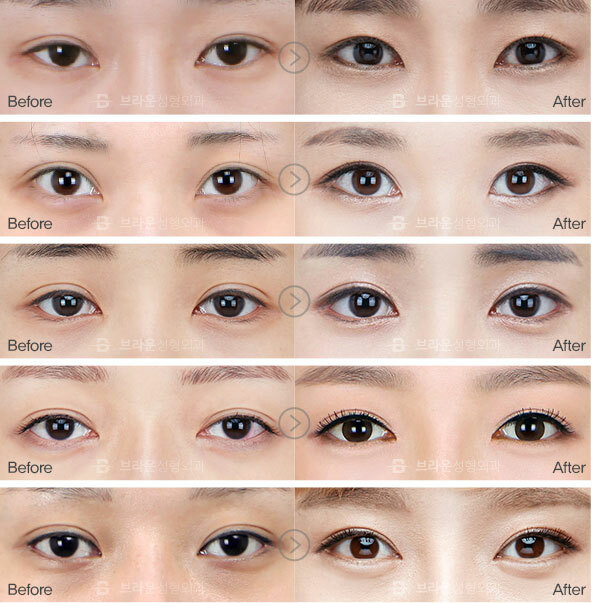 Untie the existing double eyelid line to remove unnecessary fat tissue and make it natural. case2. The double eyelid line is high. This occurs when the line was set excessively high. The height can be adjusted with revision surgery. case3. The double eyelid line is too thin. The main reason is that the skin of the eye is droopy after surgery or the operation line was set too low from the first operation. Either raise the sagging eyelids and fix or the line needs to be raised higher and re-sutured. This occurs when the line was misaligned, or the eye muscles have different strengths. It can be improved by correcting both eye muscles by moving the height of the line. case5. The double eyelid came undone. It can be untied when the line was not fixed firmly. This can be corrected easily. 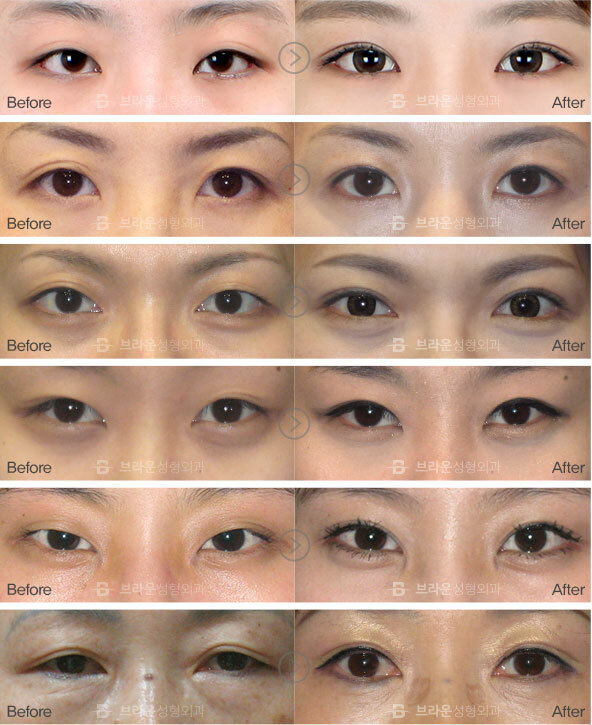 It can be done without incision such as natural adhesion, non-incisional blepharoplasty, non-incisional eye reshaping, etc. case6. Eyes look smaller after surgery. The eyes may look smaller if you have symptoms of ptosis, but you have not corrected it. 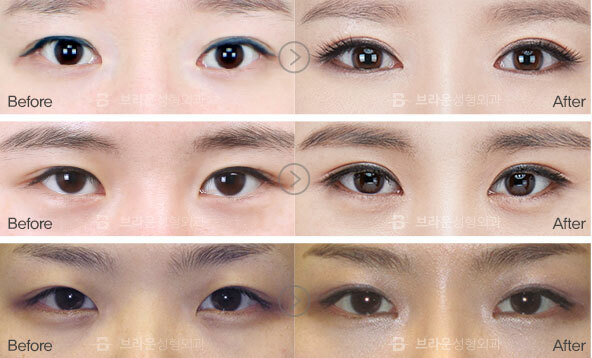 In this case, appropriate eye shaping surgery can be done together to make eyes big and clear. case7. Scars after double eyelid surgery, epicanthoplasty or lateral canthoplasty. If the scar is severe, the scar area should be incised again. It can be corrected by carefully removing the tissue from the scarred area and suturing. If muscles were excessively pulled or removed, eyes may not be closed after surgery. It can be solved by weakening or lowering the muscles of the over-corrected eyes. The surgery was not a failure, but it is not the eye you wanted. The existing line can be removed and surgery with a new design can be performed. 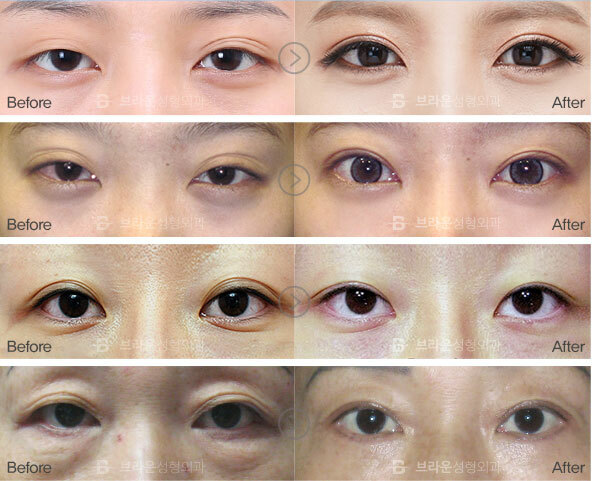 It is not merely an eye surgery that makes a double eyelid, but it is performed considering the face and eyes, the overall harmony, and the unique image of each individual. 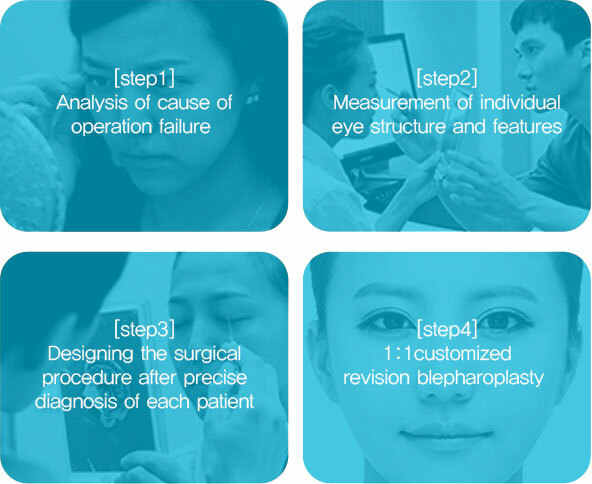 Braun Plastic Surgery Clinic improves satisfaction after surgery with various surgical methods such as double eyelids, epicanthoplasty or lateral canthoplasty, and amount of eye fat considering the individual shape of the eyes and harmony with the whole face. It is not a simple reoperation that only corrects the line. Braun revision blepharoplasty results in beautiful and confident eyes. Braun's specialists know the characteristics of an individual precisely.Create beautiful eyes, as well as restore them from an initial failed surgery, by identifying the balance of the eye best suitable for the individual. The satisfaction level of Braun Revision blepharoplasty is high due to precise diagnosis for cause. Delicate correction is made in consideration with tissue damage, scarring, eye structure, and deformation due to the first surgery. We do our best to prevent further damage through limited detachment. Minimizing tissue damage, like this, enables quick recovery because scarring and swelling is less. Perfect structure to be reborn with beautiful eyes. It is an optimal system to exactly analyze the current state and find the ideal eyes. Stop worrying about revision surgery! It is not a simple reoperation that only corrects the line. Braun revision blepharoplasty results in beautiful and confident eyes.